Siona Benjamin has mounted a remarkable exploration into the complex and multilayered identity of Indian Jews, simultaneously tracking the personal, communal and artistic strands that constitute the very fabric of her life. 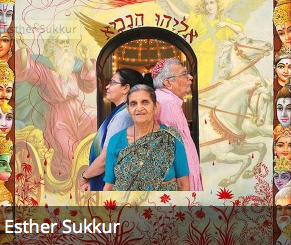 This ambitious show of over 30 large works, created within the last 2 years, was inspired by work she did on a Fulbright Fellowship in 2011 that allowed her to reconnect and explore the Bene Israel community of Indian Jews of her native Mumbai. The results confront issues of assimilation, Diaspora, piety and communal preservation that affect us all. Continue reading here.